Ada pertanyaan untuk Hotel Grand Palace? Dibangun pada tahun 1972, Hotel Grand Palace adalah pelengkap nyata untuk kota Tokyo dan sebagai pilihan yang cerdas bagi para wisatawan. Hanya 60. Km dari sini, properti bintang 4 ini dapat secara mudah dicapai dari bandara. Properti ini terletak di sekitar obyek wisata populer di kota ini, contohnya Shōwa-Kan, Leafcup, Tokyo Daijingu Shrine. Setiap upaya dilakukan untuk membuat tamu merasa nyaman. Dalam hal ini, properti menyediakan pelayanan dan fasilitas yang terbaik. Untuk kenyamanan para tamu, properti ini menawarkan WiFi gratis di semua kamar, layanan kebersihan harian, layanan pos, resepsionis 24 jam, penyimpanan barang. Properti ini memiliki 464 kamar yang didesain dengan cantik. Banyak kamarnya dilengkapi dengan televisi layar datar, lantai karpet, rak pakaian, kopi instan gratis, teh gratis. Properti ini menawarkan fasilitas rekreasi yang mengagumkan seperti pijat, untuk memberikan pengalaman yang tidak terlupakan. Hotel Grand Palace adalah pilihan yang cerdas bagi para wisatawan yang berada di Tokyo dan menawarkan pengalaman menginap yang menenangkan setiap saat. Semua aliran listrik dipadamkan untuk pemeriksaan listrik pada 7 Mei 2019 dari pukul 00:00 hingga 05:30. Restoran & Café CATTLEYA yang berada di lantai 1 dan Cocktail Lounge CROWN LOUNGE yang berada di lantai 23 tutup lebih awal pada 6 Mei 2019 pukul 22:30 (pemesanan terakhir pukul 22:00) karena adanya pemeriksaan aliran listrik. Very nice ... but still need improvement for the staff capability to speak English (international language). Great size room,clean and room service did an amazing job every day. We stayed 14 nights, had 3 new complimentary bottles of water placed in the room every day and also received English newspaper every morning. Most staff spoke good English. Only real downer was there is no real shopping within walking distance. Need to get on train. Otherwise great options when in Japan. Very clean and large size room. However, no coin-laundry for cloth washing. Triple room contains 3 super single bed, it is spacious and value for money, kudanshita and lidabashi subway are just few steps away. There are also few convenience store and quite a number of restaurants around the hotel, a good place to stay if you would like a relatively quite place compared to Shinjuku. I checked in at this hotel because it was quite near Tokyo Dome. I loved everything about this hotel. There's a lot of convenient store outside the property. Going around is also hassle free as it is near the subway. Airport limousine service is also available to and from Narita and Haneda airport. It's a very nice old hotel with friendly and accommodating staff. Only 200 meters away from the train. There are taxi cabs outside almost all the time. A ride to Tokyo station for Narita express costs only 1200 yen. Very convenient. I recommend this area rather than in Shinjuku which is just a few stops away by shinjuku line from the hotel's nearest train station. There are two convenient stores nearby and accross is jonathan's restaurant serving american/japanese food. Other ramen restaurants are also nearby. The view from our room was great. There are several elevators which was so convenient having not to wait and line up. The lady attending outside helped us find a cab on our way to Tokyo station. I will comeback again given a chance. Hotel front desk is very helpful - allow 1.5 hrs earlier check in on day of arrival. We booked 2 rooms, in addition to request of providing on the same floor, rooms were arranged opposite to one another! Enjoyed the stay very much!! 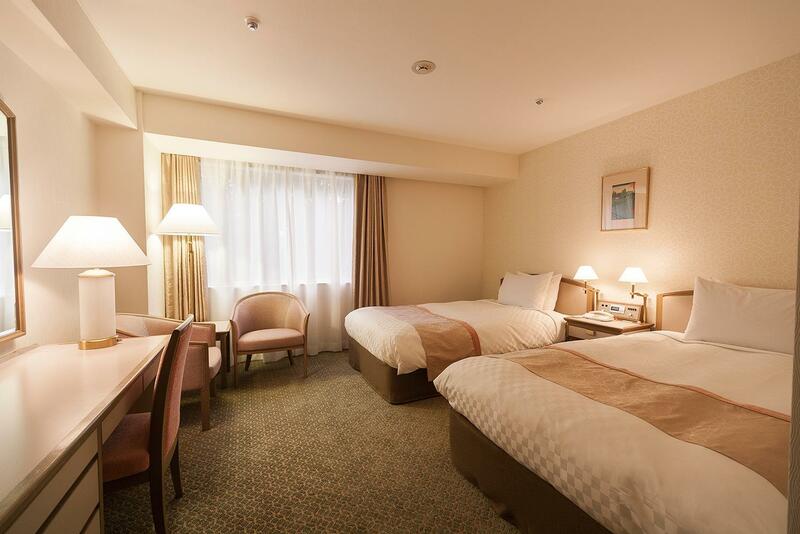 Spacious room for a Japan hotel and the staff are all polite and friendly. Limousine bus goes direct to the hotel and walk to subway station (Kudanshita) is less than 5 min. For Kudanshita station, take exit 3b for the escalator. You wouldn't want to use exit 7 (nearest exit to the hotel) unless you are taking the Tozai line. The hotel is a one-minute walk to the subway station. It has a huge driveway and lobby hat gives you the sense you're at a grand hotel. The staff is gracious and accommodating. I asked for an iron and ironing board upon checking in; it was delivered within ten minutes. The price for the room was half that of its peers. The room is a comfortable size; the gym is small but new, well-kept and serviceable. Very spacious rooms and a short walk to the subway line. The best part of this hotel is that the airport limousine bus drops you off directly at the hotel and you can arrange for a return reservation at the hotel as well. The rooms are large and very comfortable. We will definitely stay here again. Really enjoyed out stay in this hotel. Room size was much bigger than all the other hotels we used on this trip to Japan. Very friendly and helpful staff in the hotel. Excellent facilities in the room and the hotel. Great location just 1 minute walk from Kudanishta metro station and a couple of minutes walk to the grounds of the Imperial Palace. 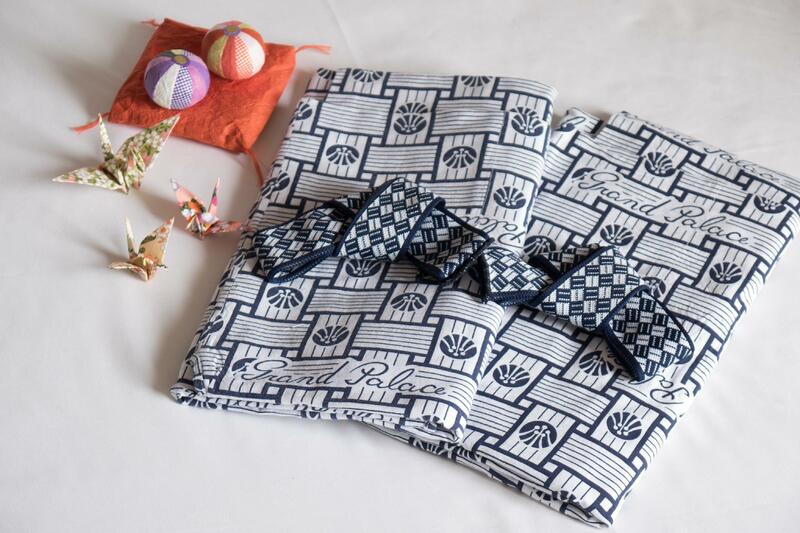 Kudanshita station is only a few minutes walk away. Hotel staff are very friendly and helpful. Towels are changed everyday. Lots of convenience stores and restaurants nearby. Check in/out process was quick. 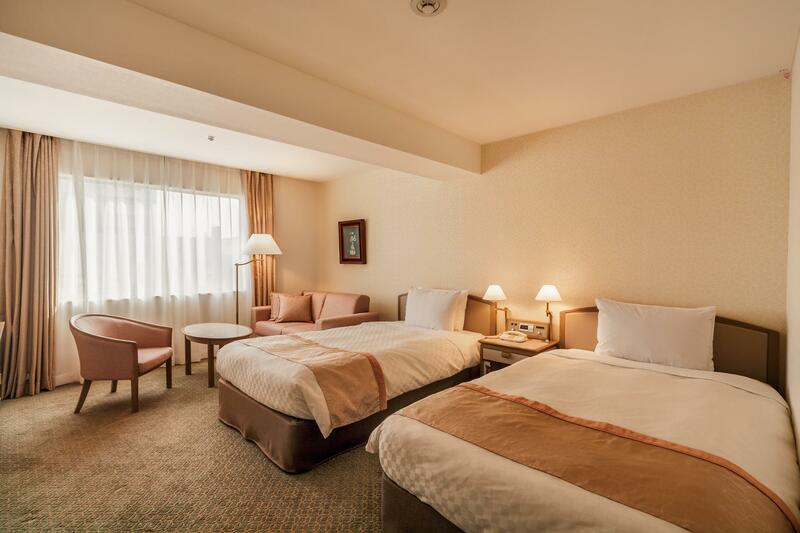 Rooms are considered big for Tokyo standards. Staff are very helpful and friendly. Location is good and easily accessible too. Took their airport shuttle bus. A little pricier compared to if you take the trains but a lot more convenient especially when you have got heavy luggages. 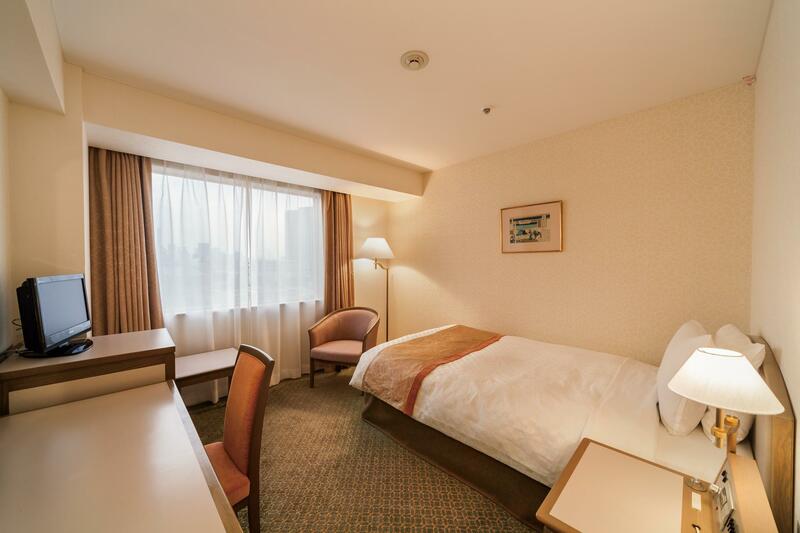 Staying in Tokyo is tricky but with location, this hotel is an excellent choice. The airport limo bus will stop here making it very convinient for travellers. In addition, it sit right above Kudanshita station, a subway station that houses 3 metor lines, Tozai, Hanzomon and Toei-Shinjuku. With this amazing access every destination in Tokyo is easily accessible. The rooms are pretty much you would expect, nice clean, a fair size for this class hotel. Moreover the service level is top international standard making your stay so ever comfortable. This hotel has been in business a long time so they are very professional with their service There are also plenty of convinience stores nearby which also make your life very comfortable. Good value for money, well recommended for all types of travellers. Location: less than 5 mins walk from Kudanshita station. Foods: Hotel breakfast is good. But not that many restaurants around Attraction: 5 mins walk to Nippon Budokan (another 5 mins walk to Science Museum from Budokan). Around 10 mins walk to Yasukuni Shrine (not everyone's favorite). Room size: This is the disappointment. I booked a room that is just like my uni dorm. However, my colleague booked a normal room that is real big. There is price difference but i would rather pay a little more, like 2500Yen extra. I visited my colleague's room and the size is great! It's classic 80s/90s hotel. Small complain: Should really show the picture of the room for the guest to understand what they are getting. Also, i tried to add another night before arrival but no one can understand English well, spent 30 mins overseas call. Conclusion: Over all it's ok but the room I paid for, it's over-priced. I don't mind staying in the small dorm size room for lower price but not the price i paid for. Hotel rooms super clean and comfortable in a great location, just 2 minutes from Metro subway and convenience stores. Breakfast buffet had so much variety though somewhat overpriced. Excellent customer service. Checking in was really easy since we just had to show our booking number. While I was doing that, the bell boy was already loading my family’s luggage onto the cart. Since we were a family of 7, we ony booked 2 rooms that fit 3 people. The 7th person (me) had to share beds with a sibling and it was fine, the bed was really spacious! They did not deny our request for extra amenities like pillows and towels (despite knowing our situation). Almost all their workers from front desk to bell boys to cleaning staff spoke and/or understood english. I’m not sure if it’s something all rooms have in common, but our room in particular had a refrigerator whose temperature wasn’t all that high. Our ice cream completely melted in the 1-inch compartment of a freezer. Our drinks weren’t all that cold. Well, that’s really all we could “complain” about. There were lots of sockets so that’s definitely a plus! I’d recommend this place and surely come back!